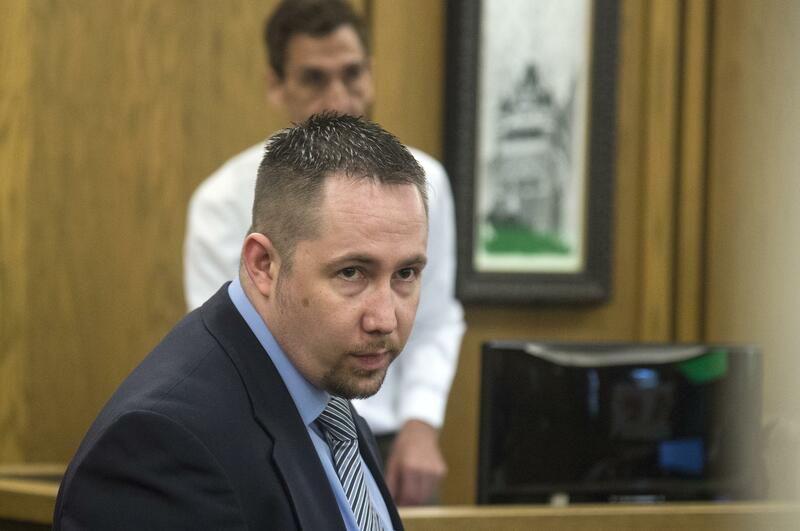 UPDATED: Wed., July 18, 2018, 10:29 p.m.
A Spokane man who was acquitted in the killing of his ex-girlfriend’s 2-year-old daughter last summer has been sentenced to more than 10 years in prison on drug charges. Jason Obermiller, 34, pleaded guilty to distributing and conspiring to distribute 50 grams or more of drugs containing methamphetamine, and was sentenced to seven-and-a-half years in prison and eight years of supervision after he is released. Eastern Washington Chief District Judge Thomas O. Rice also sentenced Obermiller to an additional three years in prison for violating parole on a previous bank fraud conspiracy conviction. Obermiller and his ex-girlfriend Lovina Rainey obtained the drugs in question days before Rainey’s 2-year-old daughter, Adalynn Hoyt, was found beaten to death, according to court documents. Obermiller, who traveled to Idaho shortly after Hoyt’s body was found, was arrested on a first-degree murder charge. He pleaded not guilty and later was acquitted by a jury. Published: July 18, 2018, 10:02 p.m. Updated: July 18, 2018, 10:29 p.m.